Sarah (10S) won the Jack Petchey award recently and chose to spend the prize money on a pamper day at Just Pampered in Rayleigh for the girls in Secondary. They each had two treatments and could choose between a facial, manicure and pedicure. The girls all had a lovely time. Fabulous work from Class GB on Wassily Kandinsky. As part of their ASDAN work GB had two visitors from Laos come into school to tell us about their culture. The class learnt greetings in Lao, tried some Lao food, learnt about Buddhist thanksgiving ceremonies and attempted some traditional Lao dancing. They even got to dress up in traditional costume. 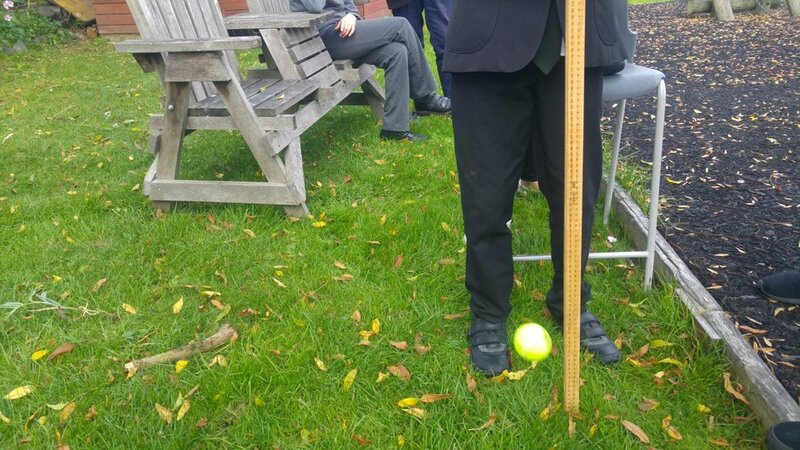 Year 8 pupils have been investigating what surface a ball bounces on best. They took short photo bursts on a camera to see the balls highest point. They found out the ball bounces the highest on concrete and the lowest on grass! The Year 9 pupils looked at chromatography of inks, look at the photo of the food colourings in skittles making a lovely rainbow! LB class have started enjoying Yoga lessons. The pupils are really following the school motto well because they are all having a go and doing their best. It was a bit strange for some people at first but the teacher said thinking about our breathing and doing Yoga poses might help us to be in the Green Zone. It worked! The exercises made Jamie feel calm and Paris feel peaceful. Connor said 'It was fun'. In Textiles lessons recently Year 8 and 9 pupils have been making outfits for some wooden mannequins. They all had the task of designing an outfit and then putting their designs into practise by making them using pieces of fabric etc. In the picture below you can see some of their fabulous creations. 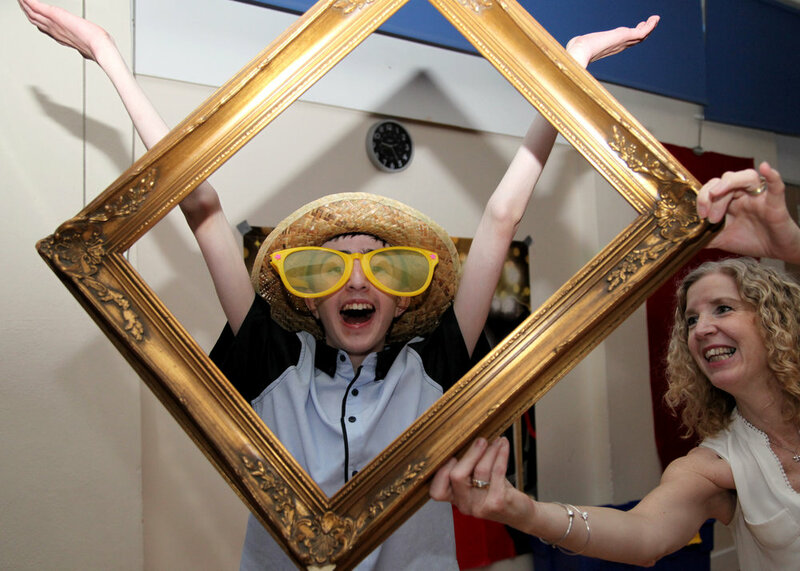 On Wednesday 13th June the Year 11 pupils attended their Prom. They arrived in style in Limousines and had their photographs taken on the red carpet. Once inside they were entertained by a magician and were served a drink from the Cocktail Bar. During the evening they sat down for a meal together and then enjoyed time dancing and having some more photos taken with props etc. A lovely night was had by all! Each Friday Mr Sankey, Miss Stone and a Year 10 class spend the day at Writtle College near Chelmsford. Writtle was established in 1893 and offers a range of land-based, design and sport courses at various levels of academic study including Postgraduate, Undergraduate, Further Education, Short Courses and Apprenticeships. Our Year 10 pupils spend time each week in various areas of the college doing interesting things such as gardening, woodwork and working with the animals. This year's residential trip took place in the week beginning 25th June 2018. A group of pupils visited Truleigh Hill, Brighton and Medway and experienced some fantastic sights and activities such as The Seven Sisters Walk, riding bikes, going on a toboggan and seeing Chatham Docks to name but a few! A very successful trip for all.